For over 10 days now, Latha*, who works at Bandi Sholai in Coonoor has been witness to a continuous forest fire. The blaze, which is raging at Coonoor Point, is not near residential areas and won’t harm residents, but the duration of the ongoing forest fire has alarmed locals. However, forest officials told TNM that while efforts to put out the fire are underway, a lack of resources has slowed down the process. “It rages during the day, settles down in the night and grows again the next day,” she added. 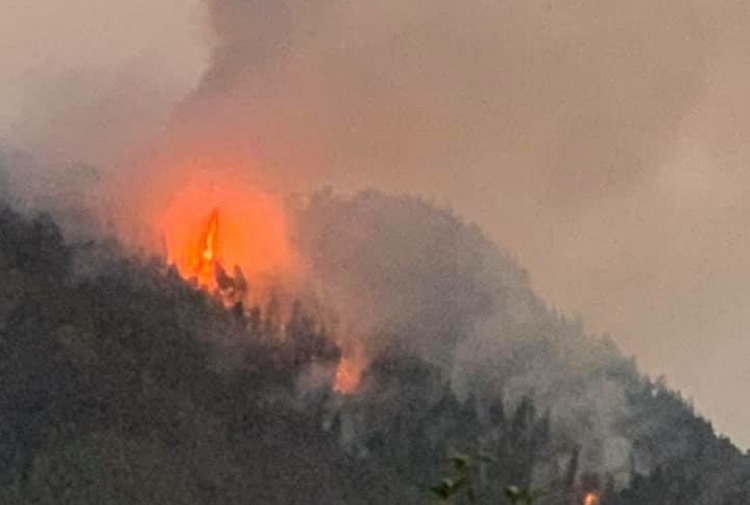 According to the forest department, the cause of the fire is the heat, and while two acres of land were initially on fire, it has been contained to almost one acre. “It is ground fire and while it initially seemed like a severe one, it can now be classified as mild. People need not be alarmed,” District Forest Officer Guruswamy Dabbala told TNM. “Since the soil is heated up, it is acting as an agent for the fire,” he added. According to Guruswamy, shortage of manpower and water is delaying the process of putting out the fire. “We are short of people to control the fire. There has been a shortage of staff in the forest department. We need 40-50 people to work simultaneously to put out this fire, but we have only 10-20 people. The process is taking a lot of time,” he said. “Moreover, there have been no rains in the area in March, and there is no immediate source of water near the fire. We don’t have the machinery to transfer water to high altitudes like hillocks. Water is required to cool down the soil so that the fire can be completely stopped. Otherwise, the fire continues in a mild way, and there is smoke from that,” Guruswamy said.